Dr. Kaine has special interests in preventive medicine for women and men, and he has interests in adolescent and pediatric health, diabetes and Lesbian, Gay, Bisexual, Transgender, Queer/Questioning (LGBTQ) Care. Dr. Kaine enjoys hiking and traveling, and he finds eating different foods is the best part of his travels. My 1st visit with Dr Kain. He was very attentive and professional. I drive 200 miles to see Dr. Kaine, and refuse to switch to anyone closer. He is awesome. I understand a lot of words (re #7). And, Dr. Kane used words appropriate for my level of knowledge. All of which I clearly understood. I also appreciate that Dr. Kane spends what I consider an adequate amount of time to understand fully the concerns I have and to conduct all tests, exams he feels are required. I have the utmost confidence in Dr. Kane´s skill and ability. Dr. Kaine is a great doctor. He is the best GP I have ever had in my lifetime of 68 years. Dr. Kaine Has been our primary for a few years. We love him and have recommended him to many other people. I really like Dr. Kaine. He always comes in with a smile, he has taken the time to refresh his memory of the reason I am there and read through my history to make sure he has all the information he needs to make the appropriate decision. He writes in comments I have made from the last visit that may or may not have anything to do with the reason for my return trip. He always has a smile and looks you in the eye when talking with you which makes me feel there is real concern there for my health. This was my first visit with Dr. Kaine (I used to be a patient of Dr. Pittenger before he retired) and I appreciated the time and attention he gave to the injury problem I had. Dr. Kaine is great - easily the best primary care doctor I´ve ever had. Dr. Kaine was absolutely fantastic. Didn´t rush me out of the room. Showed a desire to understand my concerns. Felt very thorough in his treatment and willing to explain things in a way I could understand. Give this guy a raise. I am glad to have *Dr. Kaine as my doctor. I feel he cares for his patients and wants them to be well. I have complete confidence in Dr. Kaine. He continually finds the correct diagnosis and treatment of my problems. He is friendly, respectful and courteous. no matter what, every time I come in Dr. Kaine is amazing and sweet! No comments other than to reiterate how wonderful Dr. Kaine is! He listens to his patient, personable & professional. Addressed concerns satisfactorily. I have recommended Dr. Kaine to many of my friends for all of the above reasons. He truly cares about his patients, makes an effort to get to know them, and listens to concerns. Dr. Kaine is an outstanding provider. Transitioning from my long time primary physician, Dr. Kim Pittenger to Dr. Kane was easy. I was please with the care I received, his demeanor and explanation of my condition. Dr. Kaine is straight forward with me and tells it like it is, even if I don´t like the answer. I feel he is looking out with my best interest in mind. Dr. Lars Kaine is the best. He listens and really connects with me. I always feel that he is there for me. He sends me follow up messages promptly and I have no hesitation in confiding with him on all my health care issues. I recommend him highly and he brings great credit to Virginia Mason. Very happy with Dr. Kaine. Dr. Lars Kaine responded to my emailed messages even before my appointment with him. He is very approachable, listens well and thoroughly explained my treatment options while including me in the final decision. excellent listener and communicator. I was very pleased to have met Dr. Kaine. Am looking forward to his care. Dr. Kaine is awesome! Very personable and down to earth. Puts me at ease and really listens. Dr. Kaine is always very compassionate and spends the time he needs with me. In lieu of some friends having their primary provider at VM retire recently, I have referred them to Dr. Kaine. He cares about his patients and takes all things in to consideration when treating. I am grateful that he is my doctor. Dr Kaine makes me feel at ease and I am happy to have him as a my Primary Care doctor. I really enjoy Dr Kaine. He is up beat and explains things so I can understand and seems very sincere. He asks me questions and will look mr in the ee when I answer. Cannot say enough about Dr. Kaine! I am overwhelmingly pleased with him for his care, knowledge, expertise, personal interaction and commitment to his role in my good health. My appointment was as a new patient after having a previous outstanding provider for many years. As per my general nature, I was very nervous about this big change in my life, but Dr. Kaine immediately put me at ease, and any concerns were soon left far behind. Dr. Kaine showed interest in my health and life history, was thorough and thoughtful in his exam and approach to my current health issue, helpfully discussed medication changes, and was in touch with me soon after lab and radiology tests were completed. I am confident I have made the right choice for a new preferred provider at Virginia Mason and would highly recommend Dr. Kaine to others! I continue to feel good about my relationship with my care provider. He is very approachable and feel like the medication he prescribed has truly helped me with my depression. After having Dr. Pittenger for the last 30 years, I look forward to working with Dr. Lars Kaine. Dr. Kaine is truly one of the best doctors I have ever had. He is so caring about me as the patient and any concerns or questions I had. I´m always so happy with my visits to Dr. Kaine. I´m sure he´s swamped during this busy flu season, but he never seems rushed. He´s friendly and takes time to answer my questions. Recommended Dr. Kaine to my son. Lars and his staff are super the whole staff are wonderful. Both Dr. Kaine and his assistant were wonderful. If there were a higher rating, I would give it for Dr. Kaine. He is so patient, kind, and thorough. I would highly recommend him to everyone I know. Dr. Kaine has never failed to treat me with kindness and respect. He is a good doctor and a very caring person. Dr. Kaine is a really great doctor and I am so happy he´s involved with my care. Dr Kaine is an excellent doctor. Our whole family sees Dr. Kaine and we all feel the same way - best doctor!! Dr. Kaine is top notch. Never had a better GP. Gary - Give that Dr a raise and keep him! Dr. Kaine communicates very well. He´s friendly, courteous and professional. Dr. Kaine was very kind and I appreciated his care. Dr Kaine is knowledgeable and listens well. He is very thorough in his assessments. I really like him as my GP. General care provider Lars Kaine provides more relevant information about my type 1 diabetes, for 34 years, related onset and options related to start of Neuropathy than my Endocrinologist at VM Seatlle was able to provide. Incredibily kind, caring, thorough, and easy to talk to. A wonderful doctor. He asks questions and really listens to the answers. He addressed all my questions and solved all my concerns. He is very easy to talk to: He does not negate my concerns, he sincerely finds solutions. He explains any follow up plan very clearly. I am very confident in the care he provides. Dr. Kaine is fantastic. He has always been caring and informative. He is no condescending like Dr. Pittenger, specifically about holistic health practices. We would not recommend Dr. Pittenger but we always recommend Dr. Kaine. Dr. Kaine is an amazing doctor. I travel quite a distance to see him. Dr. Kaine was very nice, attentive and took the time to answer all my questions thoroughly. I look forward to having him as my primary physician for years to come! Dr. Kaine is great. Hadn´t seen him in two years but he refreshed himself on the purpose and details of my last visit and was able to use those details to frame our conversation. He answered my questions, gave good explanations, offered to refill Psoriasis prescriptions if I needed them. He´s very cordial, professional, and friendly and never gave the impression he was in a hurry or had somewhere else to be. This was my first visit, and Dr. Kaine made me feel comfortable, and genuinely cared about any issues or concerns we discussed. Met Dr. Kaine for the first time. Even though I was wearing a mask, he shook my hand when he introduced himself! best doctor I have had in years. I can really communicate well with Dr. Kaine. Dr. Kaine was both personable and professional. He focuesed on me and my questions, and didn´t seem hurried, or unwilling to spend as much time as required to answer questions and help me solve my issue. He provided very good advice and insight. I was seeing Dr Kaine because my usual doctor was not available. Even though I was not a regular patient of his, Dr Kaine was very thorough and spent quite a bit of time with me. I also saw the wound nurse, Adrienne, and she was very informative and helpful. Dr Kaine has a great manner with his patients and is genuinely concerned. Dr. Kaine is the best! Dr. Kaine is one the most thoughtful, patient and empathetic physicians. He is very respectful of the patient´s questions and answers them very thoroughly. His guidance and referrals to specialists have been invaluable in making progress on diagnosing my condition. Although we haven´t been able to figure out the problem yet, I am confident that working with Dr. Kaine is the best way to get there. Dr. Kaine is the best doctor I´ve been to. He is thorough, explains everything clearly, and makes me feel heard. I don´t ever feel like he is rushing through an appointment. Dr. Kaine is always sharp, attentive, and informative. I could not ask for better service. Since developing thoracic outlet syndrome I´ve lived in constant pain. But Dr. Kaine and the others at VM have exceeded the amount of time and energy dedicated to helping me that I expected. Not a day passes that my life is not better because of Dr. Kaine and the others who help me at VM. I have total confidence in Dr. Kaine; I trust he dedicates the time and attention needed to offering exception, well-planned, vetted medical advice. And I frequently recommend Dr. Kaine to friends and family. He is a model general practitioner. I really appreciate Dr. Kaine´s approach to medicine. He definitely wants to make sure that I receive appropriate diagnostics and treatments, but is also willing to let me make decisions about my treatment. It´s a great balance that helps me to feel that I´m making informed decisions about my medical health. he has kept me healthy! I came in to see Dr Kaine after visiting another clinic months prior. I did so because the care is excellent and the doctors work with you. Dr. Kaine and his staff are the best! Thank you again for taking such good care of my health issues. I appreciate all you and your staff do. very keen to prescribe medicine. I wasn´t keen. Dr. Kaine is the reason I first came to Virginia Mason. A great doctor with an excellent, caring demeanor. Dr Kaine is the BEST. He is warm, caring, and even though I have only approached him as a doctor, I see him also as a friend who really cares about how I´m doing. Dr. Kaine is a GREAT doctor - my whole family are patients of Dr. Kaine and I cannot say enough about his care and his engagement. He is the BEST!! This Team Gets A Thumbs UP From Me ! Dr. Kaine is really great. Takes time to listen & follows up well. I always recommend Dr. Kaine when anyone is looking for a primary care doctor. He is honestly the best doctor I have ever had for my physicals and any other needs I have. He is always understanding and a very realistic and down to earth care provider. I am always very comfortable and confident with everything he does. Even when I have had what I thought to be a more serious issue in the past. He thoroughly checked me and gave me a list of what it could be. He didn´t wait for lab results to give care and treated me for the easiest thing on the list that would not negatively impact me from the care. It ended up being the issue and my lab results came back fine, but thanks to Dr. Kaine my abdominal discomfort was handled very quickly. Dr Kaine, is always kind and considerate. Always going above and beyond with his care. He will continue to care for my family even without Virginia Mason insurance... he´s worth it!! 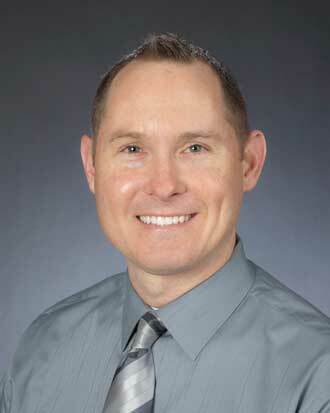 Dr. Lars Kaine cam highly recommended as a primary care physician. I also liked my previous physician and simply needed one closer to my office. Dr. Kaine is a very nice and competent. I actually have recommended Dr. Kaine to multiple friends of mine that has either expressed discontent with their current provider, or who are just looking for a new doctor. I couldn´t be happier with Dr. Kaine as our family doctor! He went above and beyond, taking his time explaining everything to me. I left feeling very confident with my issues. Great doctor!!! We are very happy with doctor Kaine!!!!!!!!!!!!!!!!!!!!!!!!!! Dr Kaine is an awesome doctor. Professional, compassionate, and thorough. I would definitely recommend him to family and friends. I can´t say enough good about Dr. Kaine. He genuinely cares about his patients. The best experience I have ever had with a Doctor. I hope all your doctors have his people skills. Dr Kaine had a student and she saw me first, really thorough. Dr Kaine took me seriously and had to problem solve. He included me and his student to find the root cause and treat. I have 100% confidence and trust in him. Very genuine. Easy to engage with and interact. Listened and took time to explain everything. Quick to respond in giving me test results via the messaging system. Definitely recommend. Dr. Kaine is a very skilled communicator. I had seen him several years ago and he remembered a concern I had at that time. We discussed several issues important to my health. I was very impressed with Dr. Kaine. Dr. Kaine has been my PCP for 4+ years, and over the past few years my health has thrown some curve balls. Dr. Kaine always makes me feel so cared for - it could be months between my appointments and he always remembers my (now) extensive medical history and is always confident in what my next steps should be. Dr. Kaine does an excellent job of communicating professionally and in a way I feel like I am being cared for. We love Dr Kein. He is kind, and patient, and exams thoroughly and carefully. Doesn´t prescribe too much medications. Listens and has compassion. Very good Doctor. Dr. Kaine is absolutely the best Dr. I could have found for my 15 year old 1st "big boy" Dr. The more from pediatrician to Dr. Kaine was the best thing. He was GREAT w/my son. Dr. Lars Kaine is an outstanding physician. I always enjoy my interaction with him. I am very grateful to Dr.Kaine for helping me in taking care of my symptoms. I was impressed with Dr. Kaine. He is smart, personable, knowledgeable and very competent in my opinion. Dr. Kaine listens very well and gives good explanations. He takes me seriously. I only wish we had more time, but I understand that this is a business, and I do tend to have a lot of questions. Dr. Lars Kaine is very personable and easy to talk to. Dr. Kaine always shows sincere effort to greet and acknowledge you. I wish I could give a higher score that "very good" for Dr. Kaine & the nurses. He is so excellent in his explanations, kind, never seems to be in a rush. I HIGHLY recommend him and Virginia Mason. Dr. Kaine is exceptional in so very many ways. One of the very best in my 50+ years. Dr. Kaine was very knowledgeable and kind. Dr. Furlong has been my doc for almost 14 years and always a little concerned about seeing another provider, but Dr. Kaine was very pleasant and I would recommend him.